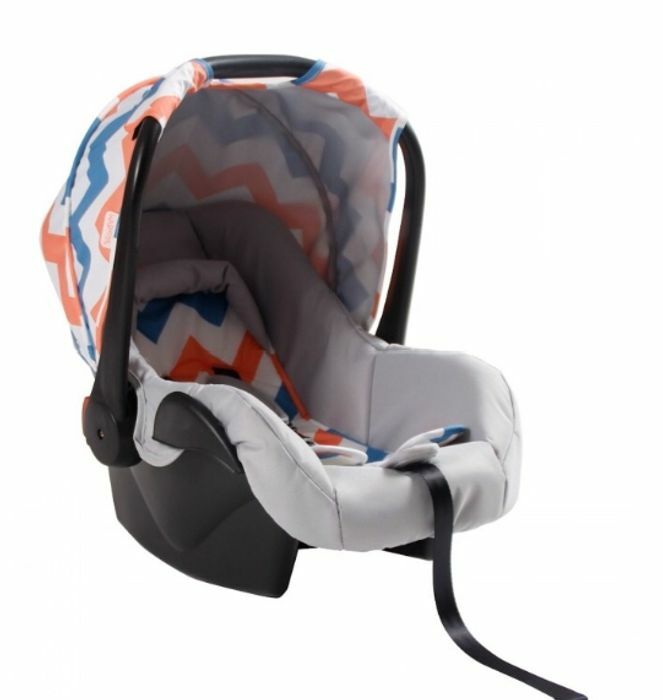 Suitable from birth – 12 months (0-13kg), this stunning My Babiie Group 0+ car seat is sure to turn heads. Featuring that all important side impact protection system and shock-absorbing PU foam, this baby car seat takes safety & comfort to a whole new level. The seat must be installed in a rearward facing position and is secured in place using the car’s very own three-point seat belt. With its sleek design, the My Babiie Car Seat co-ordinates beautifully with the My Babiie MB100 pushchair with the help of the car seat adaptors (sold separately). It comes with coordinating head hugger, tummy and chest pads providing even more comfort for your little one. Really great deal on this car seat. Could use as a spare for grandparents too. Bright pattern.